"I write for a living - software manuals, procedural manuals, intranet/internet websites, help-files. 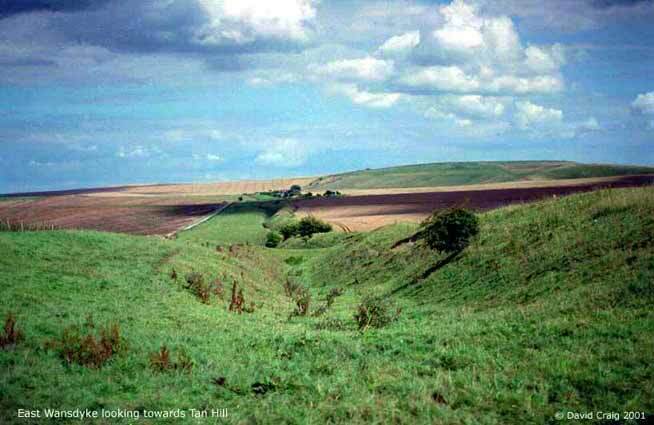 Like thousands of others, I wanted to write novels/screenplays/ polemics. I bought a computer to write on and discovered a whole new range of displacement activities - to put off the moment when I'd have to try to fill a blank screen ("maybe I'd write better if the screen were light green...", "perhaps if I tried this new piece of software...", "maybe I could write a macro to do this..."). In the end, I found I could get paid for my displacement activity - exploiting my experience in using computers by acting as an interpreter between those who write the software and those who use it - but not for my novels/screenplays/ polemics. But with the Web, various projects began to converge with the "day-job", enabling me to indulge in the kind of writing I enjoy. I hope you will enjoy reading it. 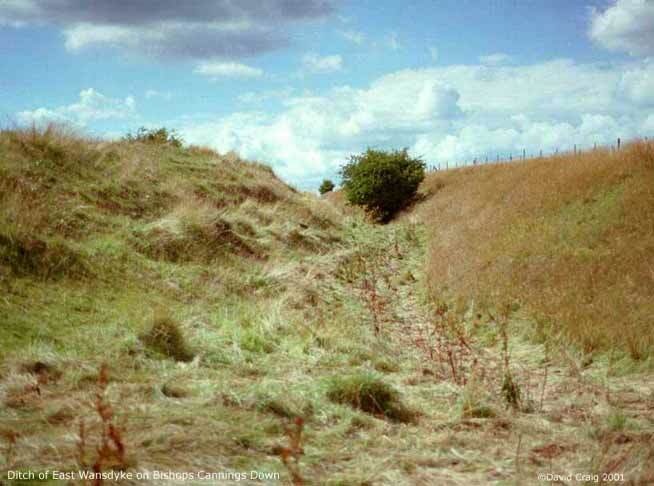 This image shows the scale on which East Wansdyke was constructed. 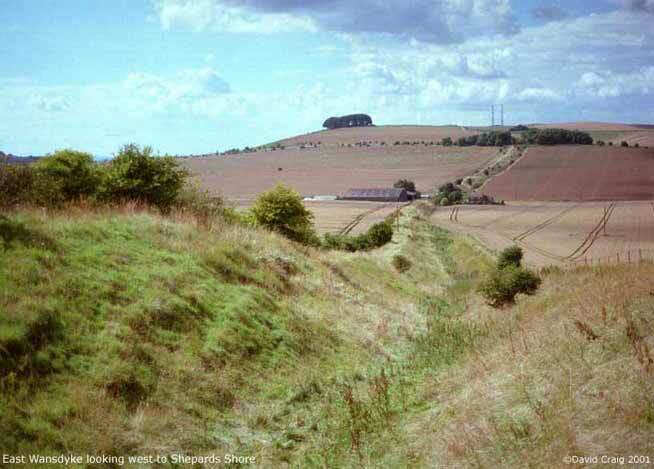 This picture shows cleary on what scale Wansdyke once was built. (click here to enlarge). 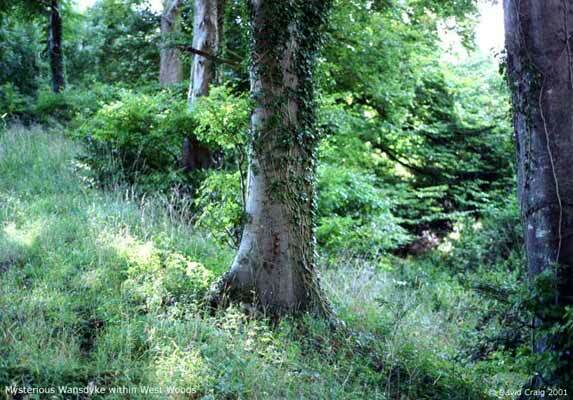 The dense forest of West Woods. 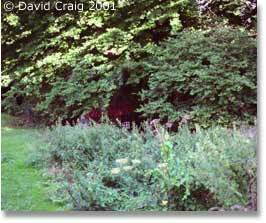 The picture shows a modern use - a 'Wendy House' built into Wansdyke near Shaw House, 2001. Copyright � 2001, David Craig. All rights reserved. Used with permission.